Hugo’s Agoura Hills has two fundraising events coming up. On December 3, from 3 – 5 p.m., it’s a “HOLIDAY GIVING” Tea Tasting at Hugo’s with owner Tom Kaplan that benefits El Nido (“The Need”) Family Centers. $18 suggested donation. RSVP Leslie@hugosrestaurant.com. Then on Wednesday, December 7, from 5 p.m. -10 p.m., come dine in Agoura Hills to benefit Many Mansions—20% will be given this organization that provides low income housing. 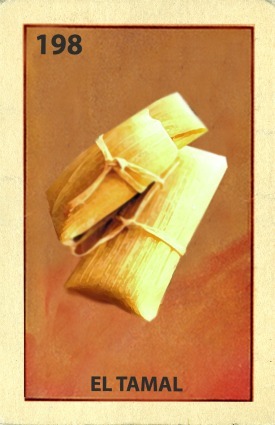 Have a party at Loteria Grill or cater at home—and don't forget their special tamales! Need a different kind of fun and festive idea for a holiday party? Loteria Grill in Studio City and Hollywood are offering prix fixe menus with a variety of delicious choices available for all times of day and budgets for Breakfast, Lunch, Happy Hour/Cocktail Party, and Dinner. There’s buffets and sit down full service options. Book a private room or the entire restaurant. Breakfast ranges from $19.75-$42 per person, Lunch $25-$40, Cocktails $18-30, Dinner $29-45. Also, check out their tamale catering which come in various flavors of chicken, pork and vegetarian for $40 a dozen, $22 for 6 or $4 each. Morton’s The Steakhouse in Beverly Hills and Woodland Hills, which are usually only open for dinner, will be open for lunch on eight select days in December (8, 9, 14, 15, 16, 20, 21 and 22), starting 11:30 a.m. Their holiday lunch menu includes a prix-fixe option for $35 per person which includes a cup of soup or salad (Lobster Bisque, Baked Five Onion Soup, Morton’s Salad or Caesar Salad) and choice of an entree (Filet Mignon, Broiled Salmon or Chicken Christopher). Olive Vineyard in Agoura Hills is a drop off location for the Toys for Tots foundation. Any one who brings in a new unwrapped toy to donate will receive 10% OFF their purchase. Maggiano’s Little Italy is offering a special “buy one, bring one home” offer to introduce their new pastas — Bowtie Aglio (brocolini, spinach, sundried tomatoes and parmesean) and Baked Rigatoni Pomodoro (chicken sausage, smoked mozarella, pomodoro sauce). Learn the secrets behinds Fabio’s “Most Famous Sauces” at another Firenze Osteria cooking class in North Hollywood on Sunday December 4th at 11a.m. A two course meal and a drink is $40 per person or $70 a couple. Call for a reservations (818) 760-7081. Karen Young is the Founder/Editor of MyDailyFind.com. Got News? Tips? Email: karen@mydailyfind.